You can’t know the soul of an island until you put your feet in the water, feel the sand between your toes, talk to the people, and watch the sunset from the beach. It seems like everyone is talking about Hamilton these days. The widely popular Broadway musical has garnered international acclaim for its theatrics and brought attention to this small island in the Caribbean. 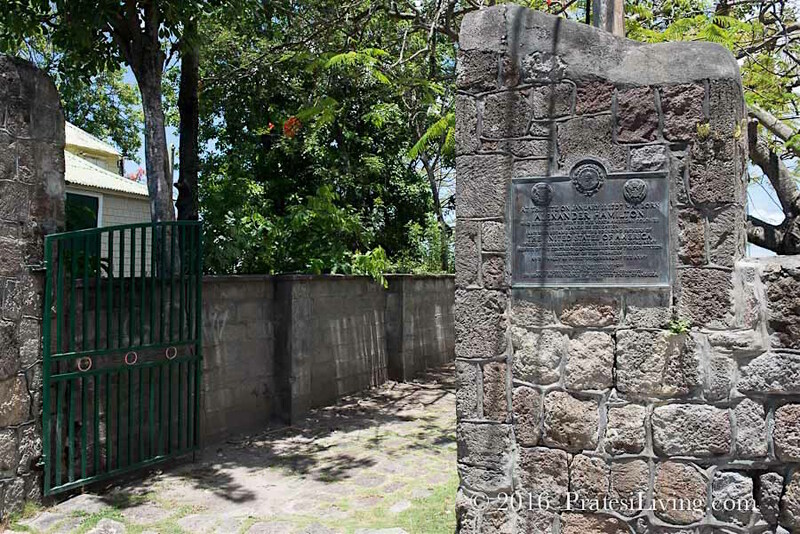 We recently traveled to Nevis where it all started, the birthplace of Alexander Hamilton. 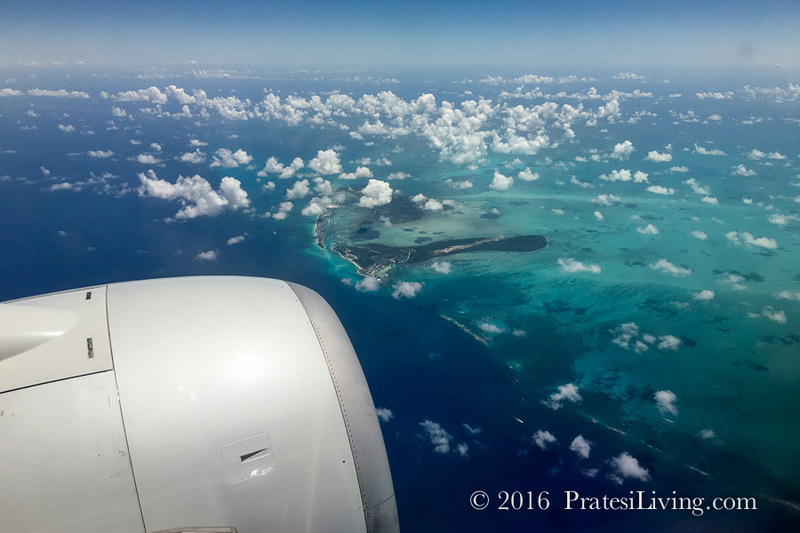 Landing at the airport in St. Kitts, on our way to its smaller sister island, we were excited to learn more about one of our lesser-known Founding Fathers and to experience limin’ on Nevis. 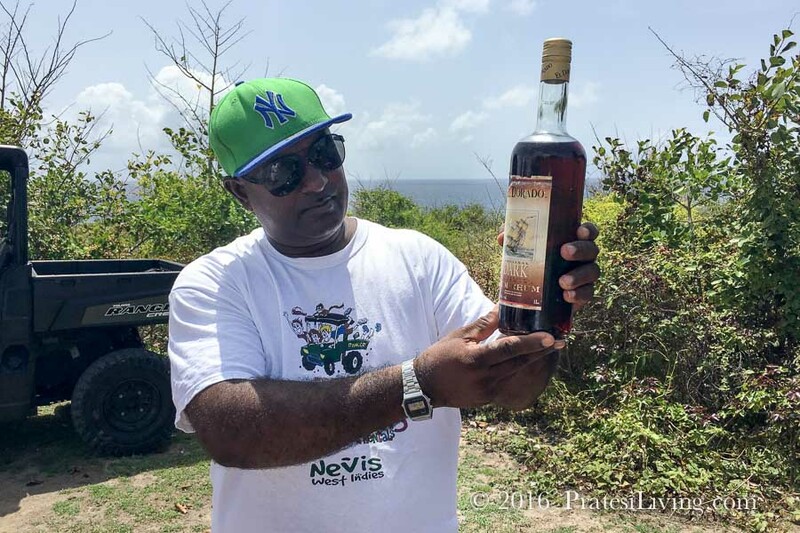 Just a ten minute ferry ride from St. Kitts, Nevis was recently named one of the “11 Underrated Caribbean Destinations to Visit this Winter” by U.S. News & World Report. 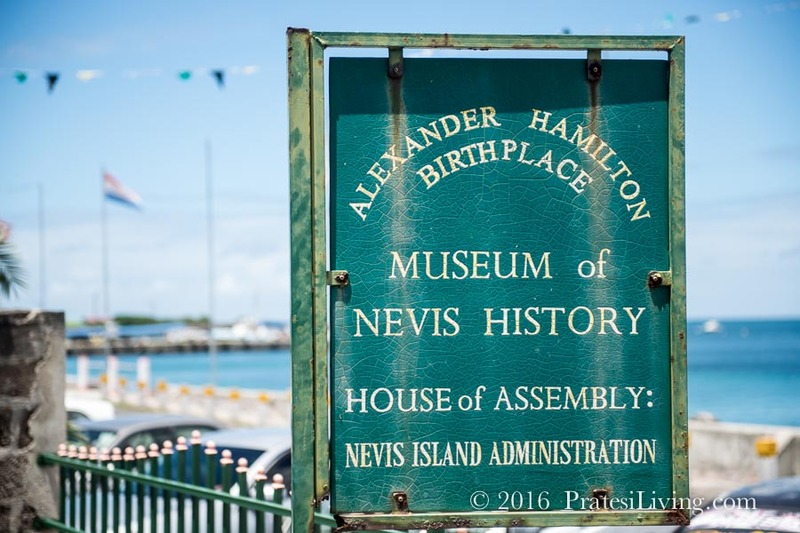 Nevis has been getting more attention recently, thanks to Alexander Hamilton, who was born on the island in 1755, and the renewed interest in his life brought about by Lin-Manual Miranda’s Hamilton, the hottest Broadway show to ever hit the New York City stage. 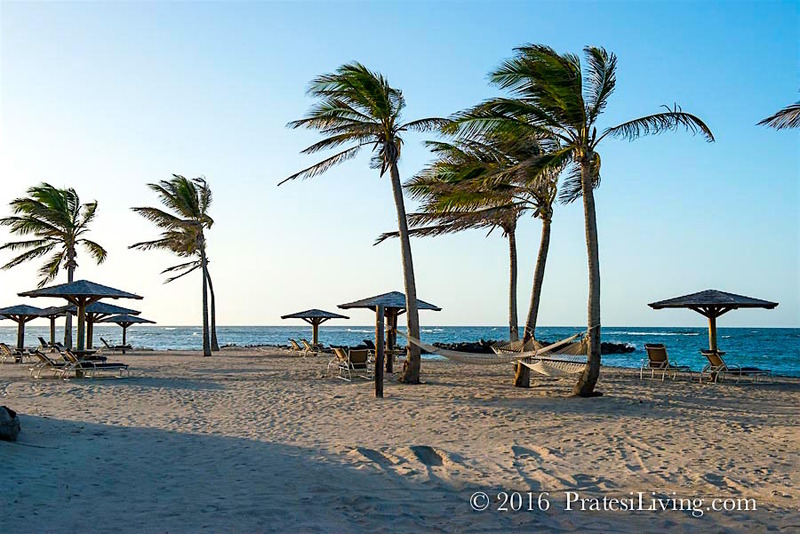 A once under-the-radar destination, Nevis is now a must see place to visit. 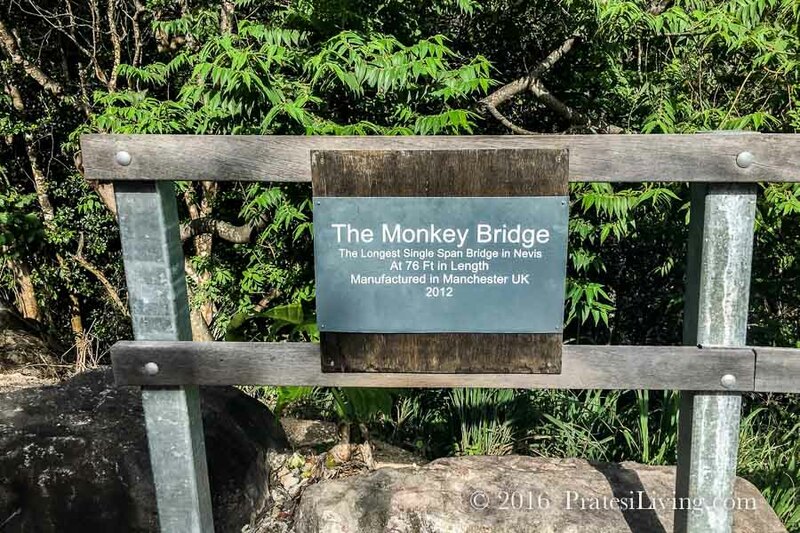 Located in the West Indies, between the Atlantic Ocean and the Caribbean Sea, this stunning, unspoiled, and still relatively quiet island was once a thriving hub for commerce and trade. 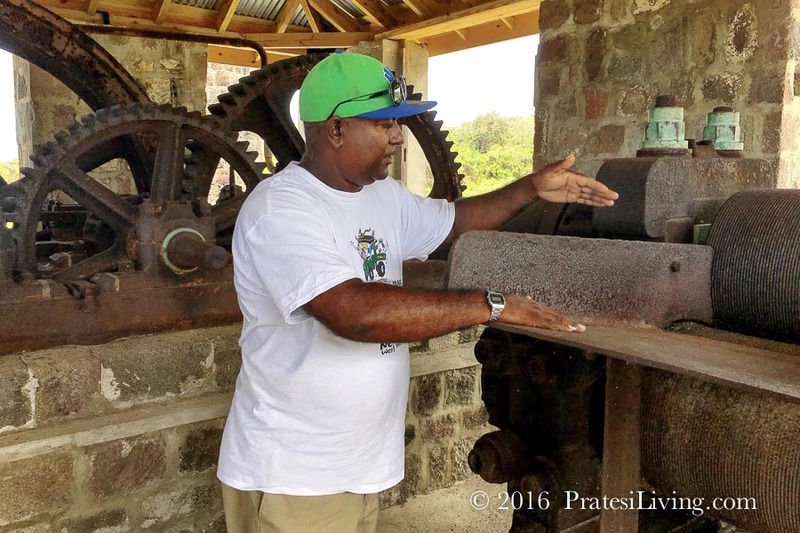 Known as the “Queen of the Caribbees” in the 18th century, Nevis was made wealthy and prosperous thanks to its 100 sugar plantations. 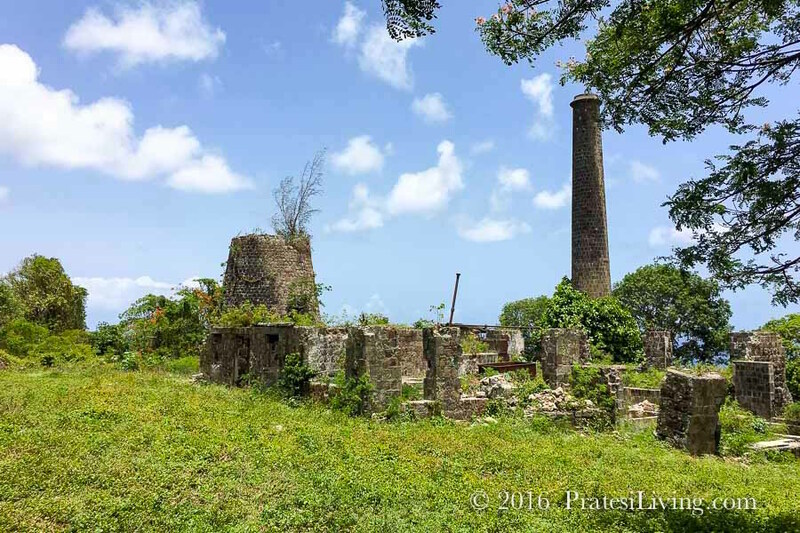 This small Caribbean isle was embattled several times by the Spanish, English and French seeking the riches of “white gold,” as sugar was known. 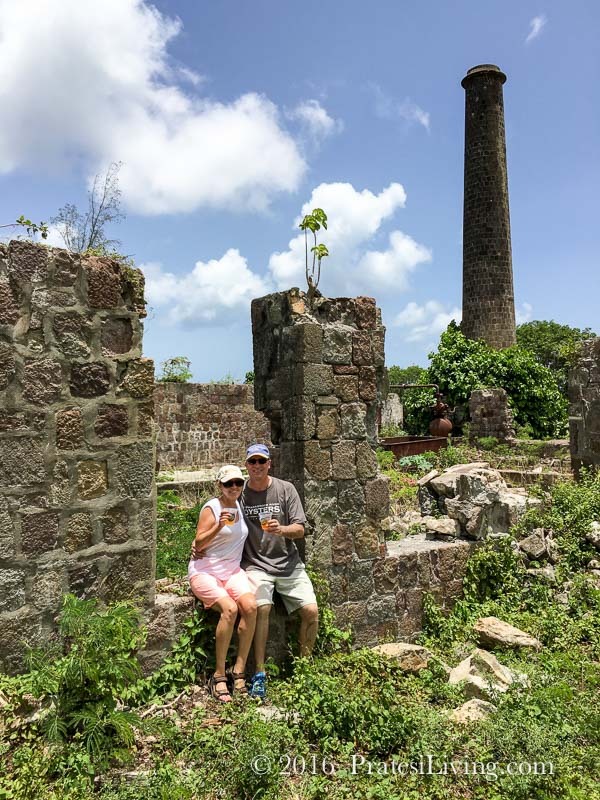 While sugar production ceased in the 1950s, the ruins of many sugar plantations remain prominent structures at several of the premier resorts and others are scattered throughout the island. 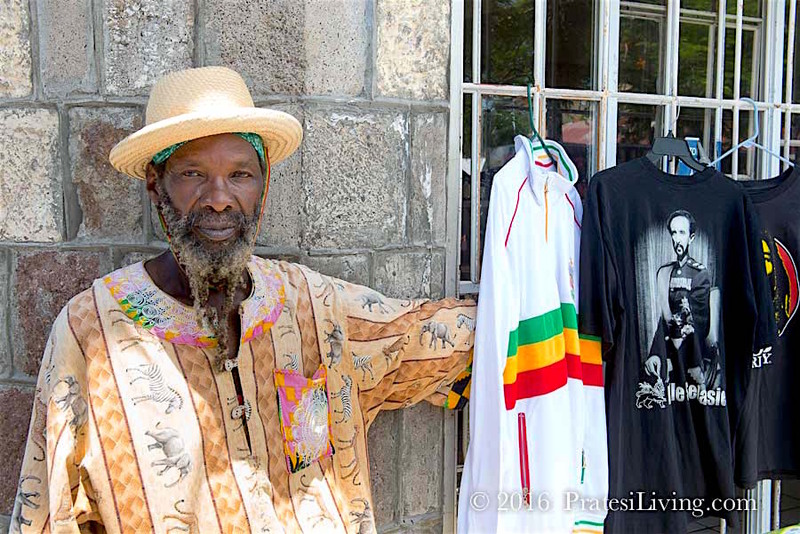 It’s hard to deny the rich history that dates back to colonial times on this Caribbean paradise. 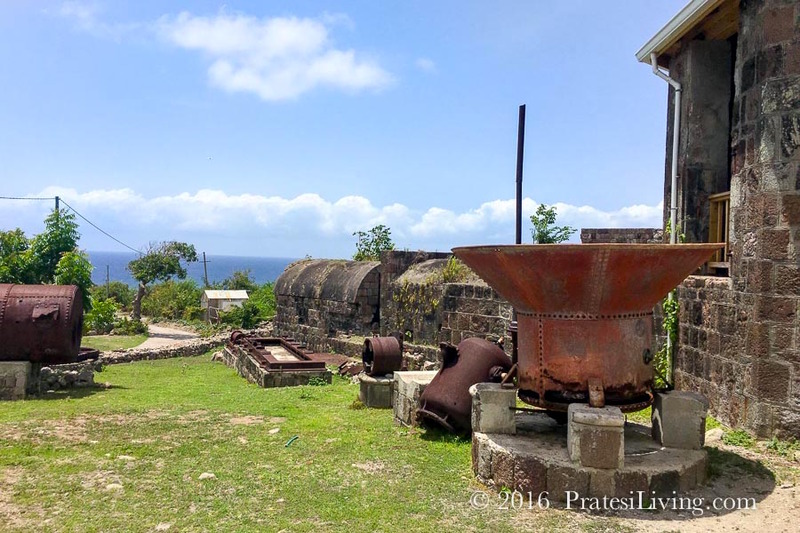 Nevis is also home to the Caribbean’s oldest church, the first known hotel in the Caribbean (The Bath Hotel), the oldest wooden structure in the Caribbean (The Hermitage Hotel), Amerindian sites, a former slave village, and Saddle Hill Fortress. 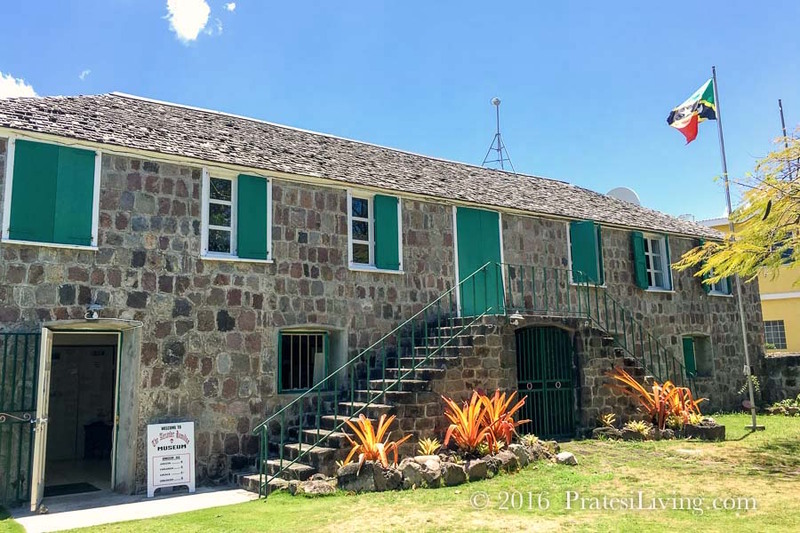 At 1,250 feet above sea level and in a mini rainforest, this fortress was Admiral Horacio Nelson’s vantage point to watch for foreign intruders headed toward the islands of St. Kitts and Nevis. 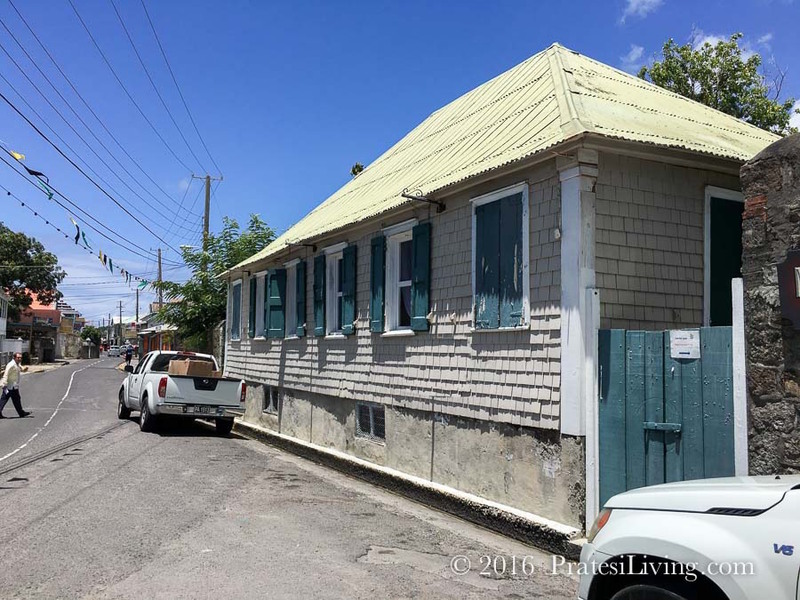 However, the most famous destination on the island may now be the port town of Charlestown with it’s cobblestone streets, painted wood and stone colonial architecture and the modest house where Nevis’ most famous resident was born – Alexander Hamilton. Relaxing, chilling, taking it easy, kicking back…that’s what limin’ is all about and there’s no better place to do it than on this beautiful island. 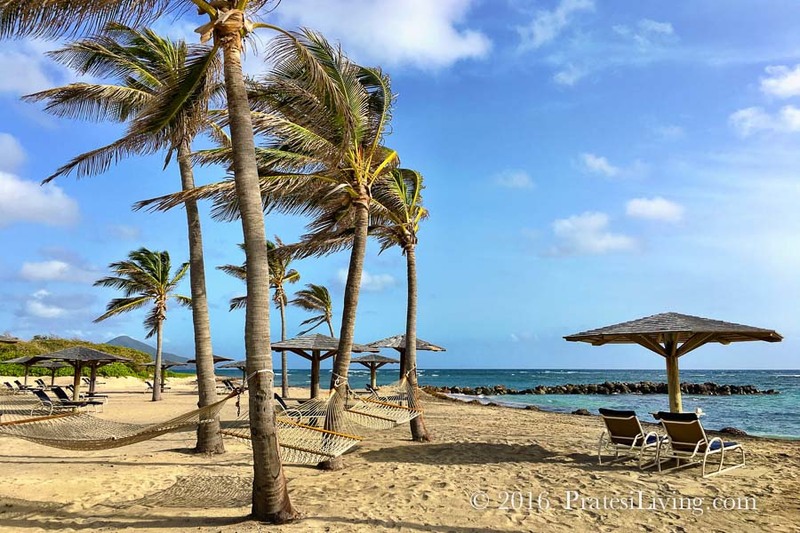 Nevis is an unspoiled landscape with its spectacular volcanic beaches and palm trees steadily swaying in the ocean breeze from the near constant trade winds that keep the island cooler and bug free, especially along the coast. It’s the perfect place to check out from everyday stress, unwind, and just languish in all the gorgeous scenery, sunsets, and golden sandy beaches. However, there’s also plenty to do when you want to stay active on land and on the water…hiking, biking, golf, watersports, fishing, sailing, kayaking…will all keep you busy. Here are a few suggestions for things to see and do. 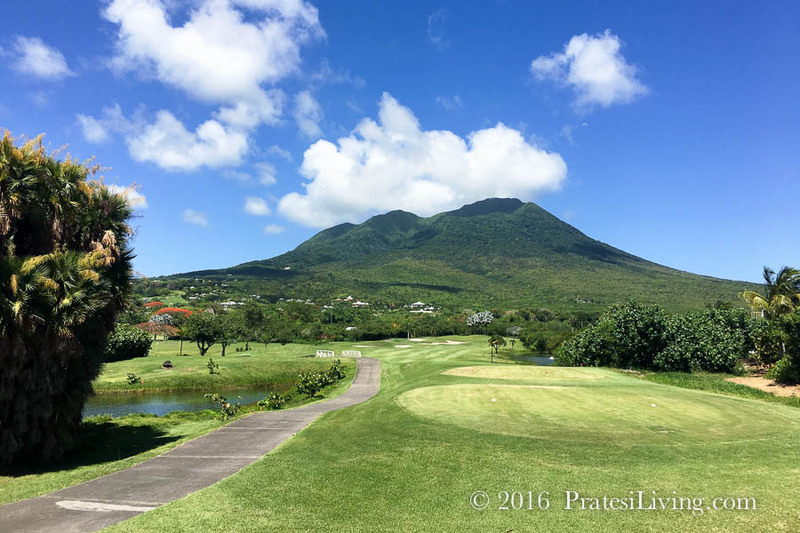 The imposing Nevis Peak, at an elevation of 3,232 feet and at the center of the island, is visible from all points around the island, with the most impressive and unobstructed view from the golf course at The Four Seasons Resort. On a rare day, when not shrouded in clouds, you can see the peak of the now dormant volcano. For the more adventurous, take a guided hike up to the top of the peak. Since some of the trails can be challenging, you definitely want to enlist the assistance of a local expert. 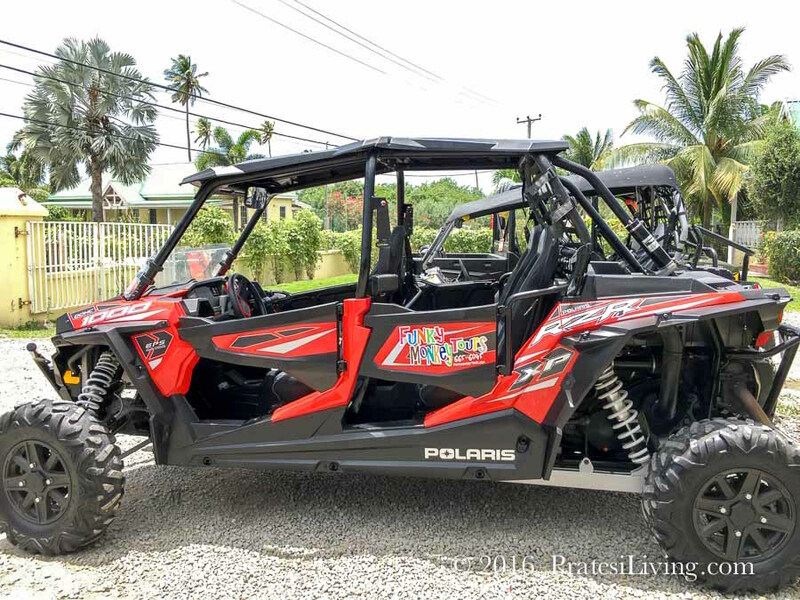 A great way to get an overview of the island, visit remote ruins of the old sugar plantations, and to see native wildlife, is to take a guided Funky Monkey 4 x 4 ATV tour. 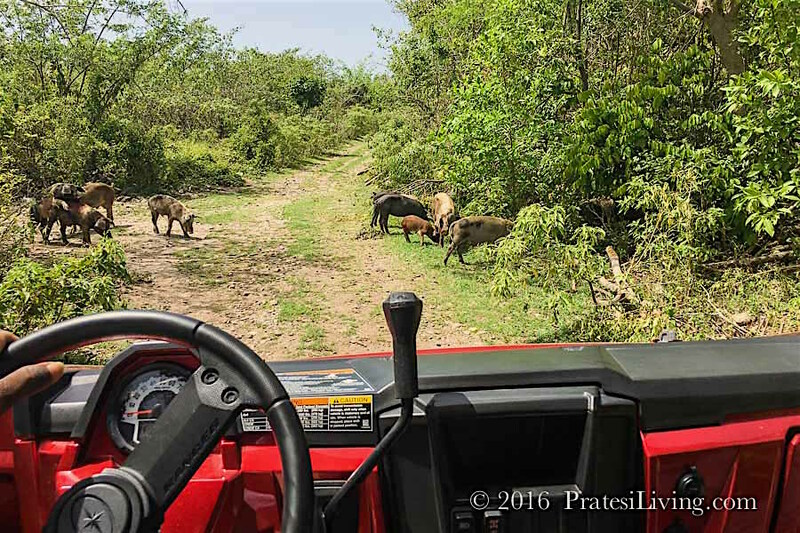 These vehicles tackle the dirt and mountainous roads that cars and trucks can’t navigate and afford a chance to discover things you won’t see otherwise, like wild pigs roaming in the forest, some of the island’s most populous inhabitants, the wild Green Monkeys, and the forested areas at the base of Nevis Peak. Our guide, Neal, was informative and entertaining as we traveled along the beautiful beaches, stopped at several former sugar plantations, including Hamilton Estate, which was owned by Alexander Hamilton’s family until the 1950s, and visited one of the most fascinating gardens and guest properties on the island, Golden Rock Plantation Inn, also housed in a former sugar plantation. At the end of the tour, Neal makes a mean rum punch with “rhum” from his native home of Guyana. 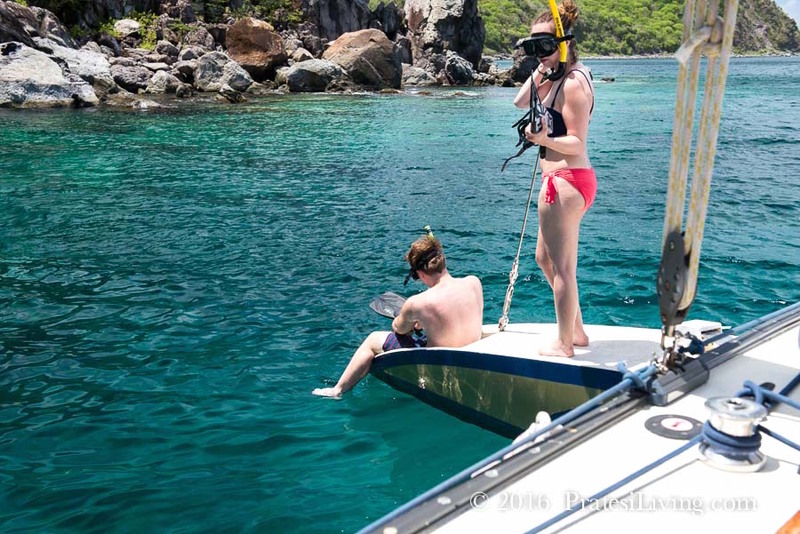 Funky Monkey Tours also offers tours of the islands from the water on their Sea-Doo Jet Skis. If you’re dreaming of the perfect day in a tropical paradise, it should include a magical afternoon of setting sail on a catamaran. 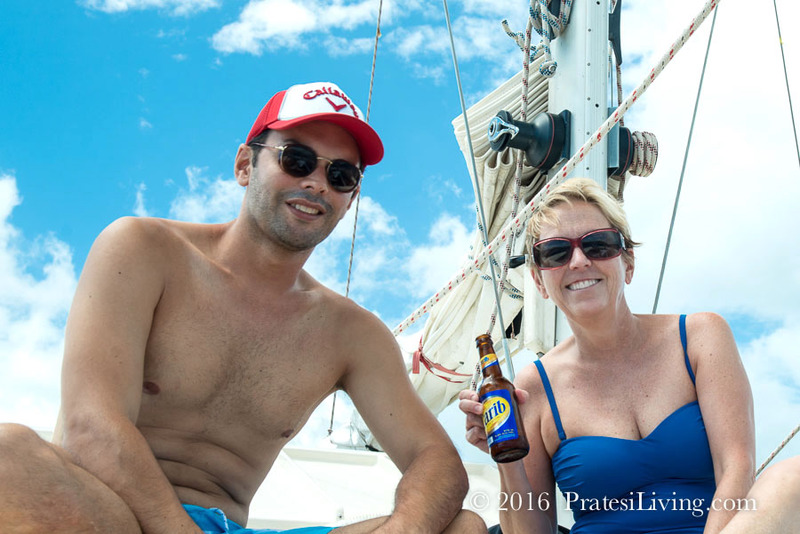 Bask in the brilliant sunshine with the wind in your hair as you cruise the sparkling waters of the Caribbean Sea and around the island to take in the natural beauty, all while sipping a pungent rum punch or frosty cold Caribe beer, a local favorite. Then take a refreshing dive into the brilliant blue waters of the Caribbean to swim or snorkel before heading back to shore. 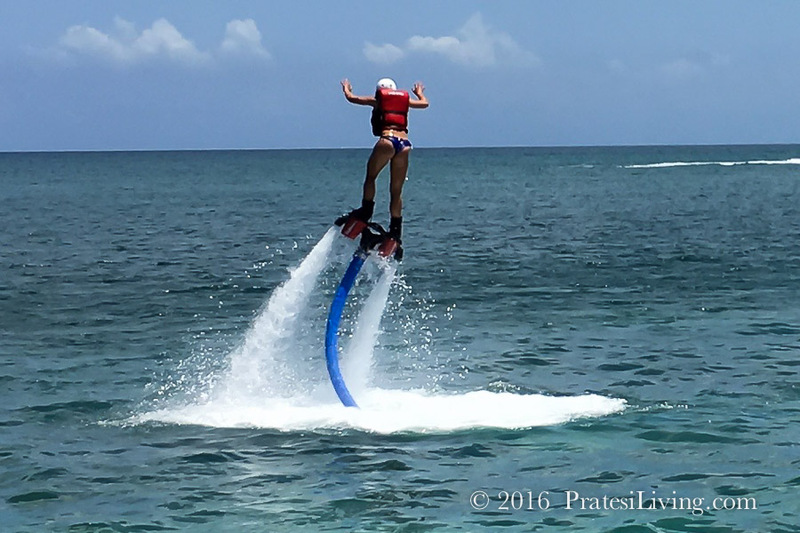 I can’t think of a better way to get a sense of island life and limin’on Nevis. 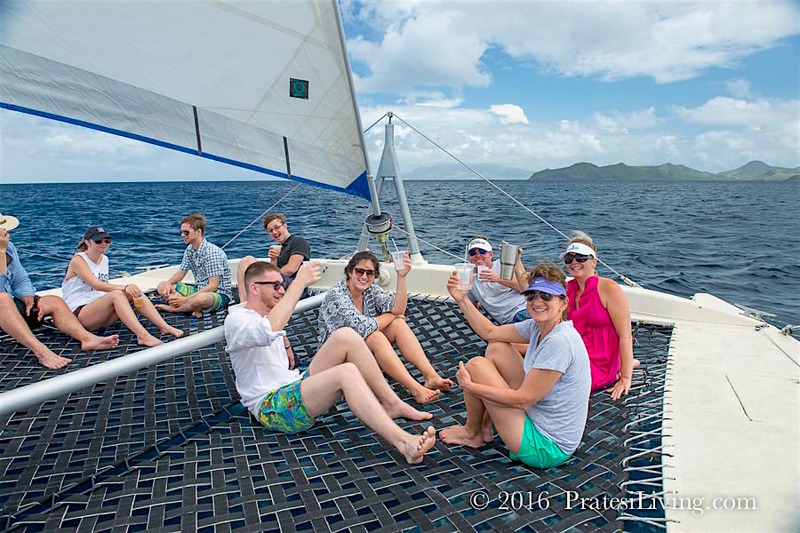 Leeward Islands Charters offers several types of catamaran cruises, including a sunset cruise, and all leave from either the Ouilie pier or the pier at The Four Seasons Resort. 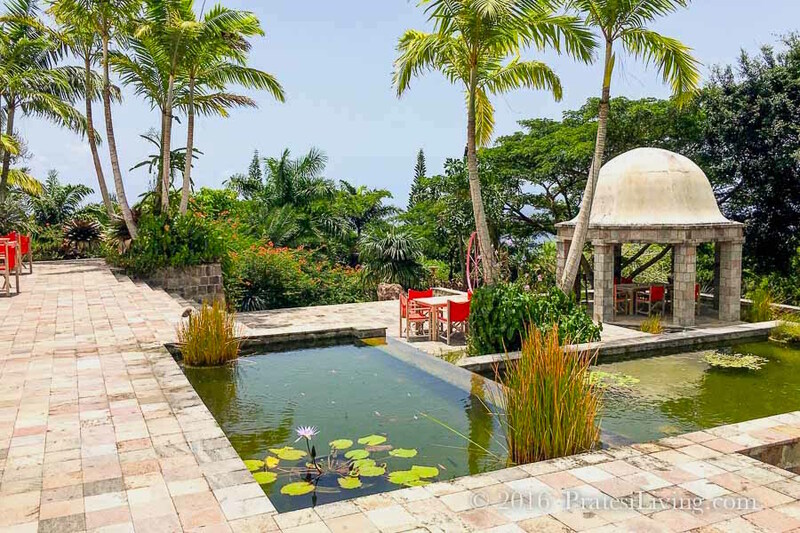 A splendid surprise was a visit to the Nevis Botanical Gardens. 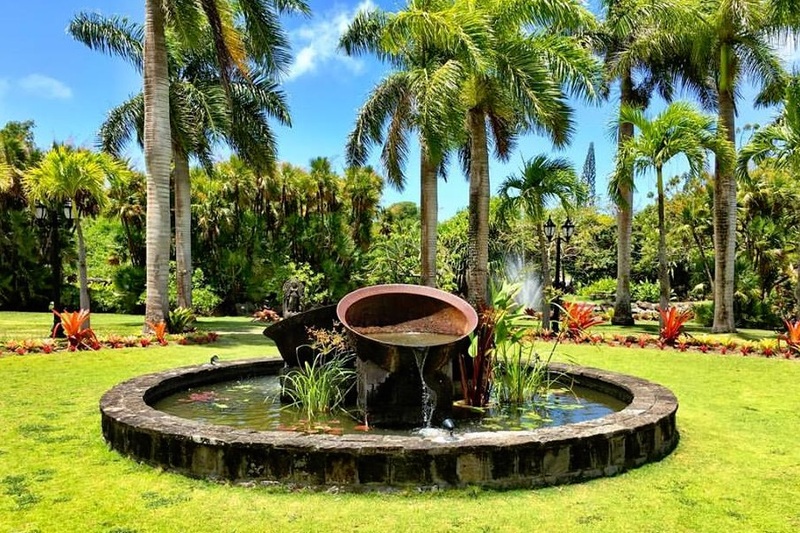 With the backdrop of Nevis Peak, these lush tropical gardens are situated on land originally belonging to the Montpelier Estates and close to where Horatio Nelson married Fanny Nesbit in 1797, another important historical event on the island. 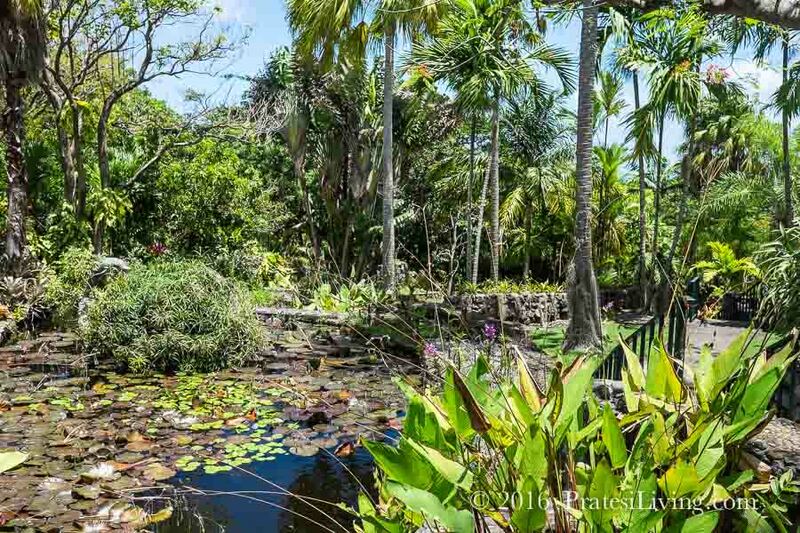 The gardens, covering 6.25 acres, are home to tropical flowers, shrubs, trees, orchid terraces (with over 70 varieties of orchids), vines, and a multitude of other plant life sourced from around the globe. 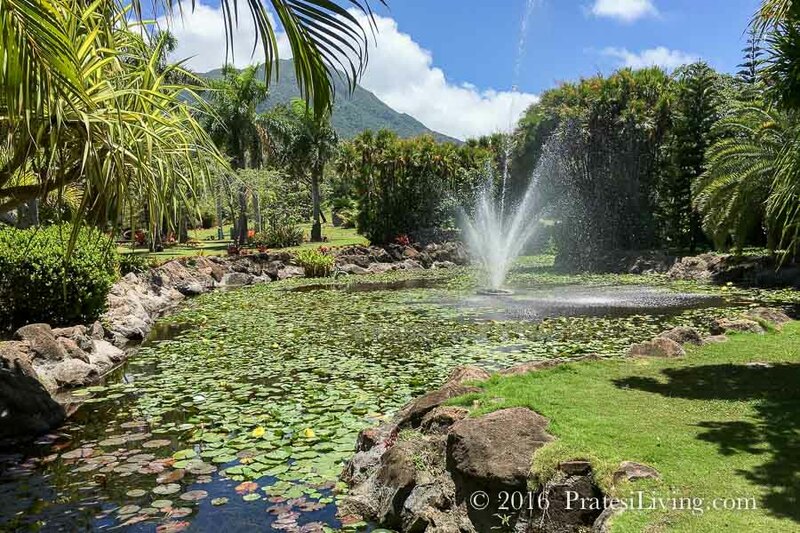 Water features, sculptures, and lily ponds are scattered throughout the property. 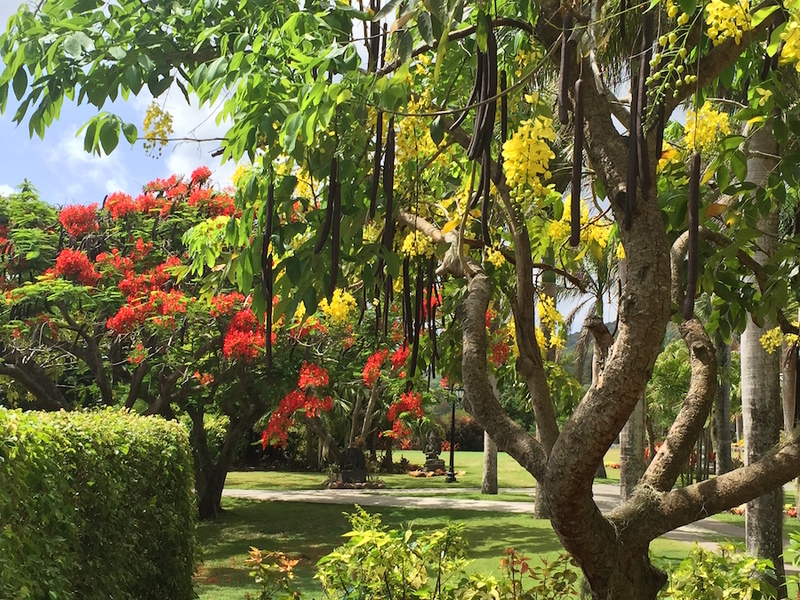 You can also see the flowering tree and National Flower of Nevis, the brilliant orange-red Poinciana (or flamboyant). At the Oasis in the Gardens restaurant, enjoy panoramic views of Nevis Peak and historic Charlestown, with St. Kitts in the distance. This venue or a tent set up in the gardens would be the perfect place to host a private event or wedding. 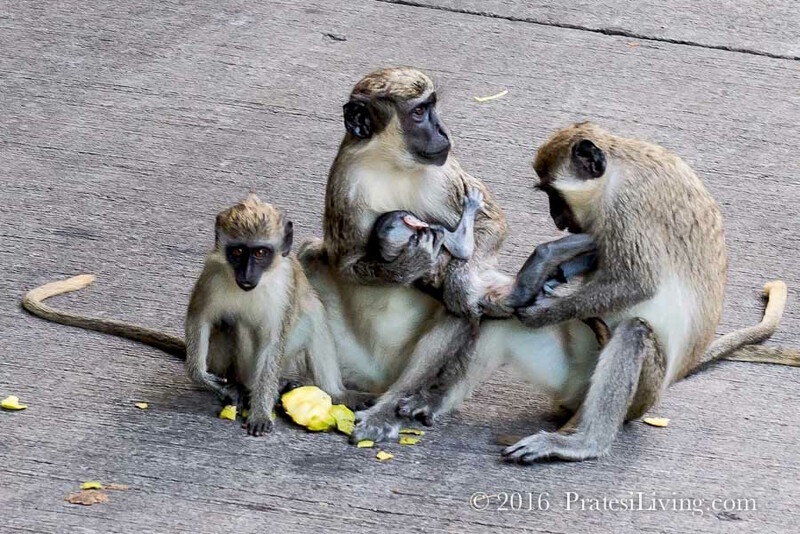 Nevis is alive with wildlife that you can see at almost any turn and at any time. 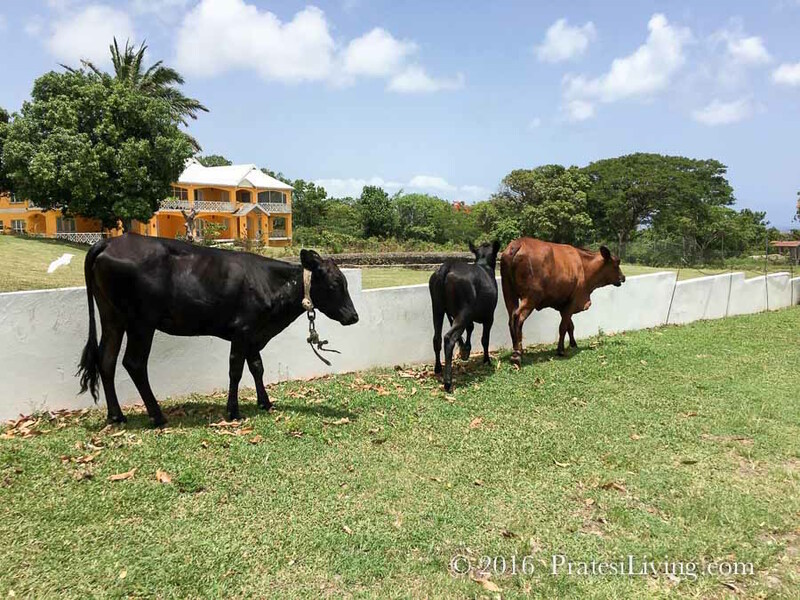 Cows roam loose and graze on the grasses, even at resorts. 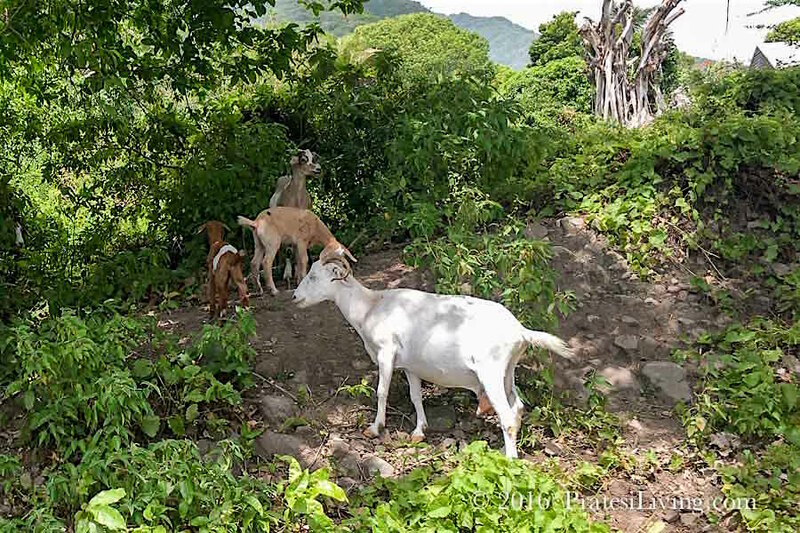 Nevisian sheep (which look more like goats with short hair) and goats (that look like goats) appear on the side of the roads and in fields. 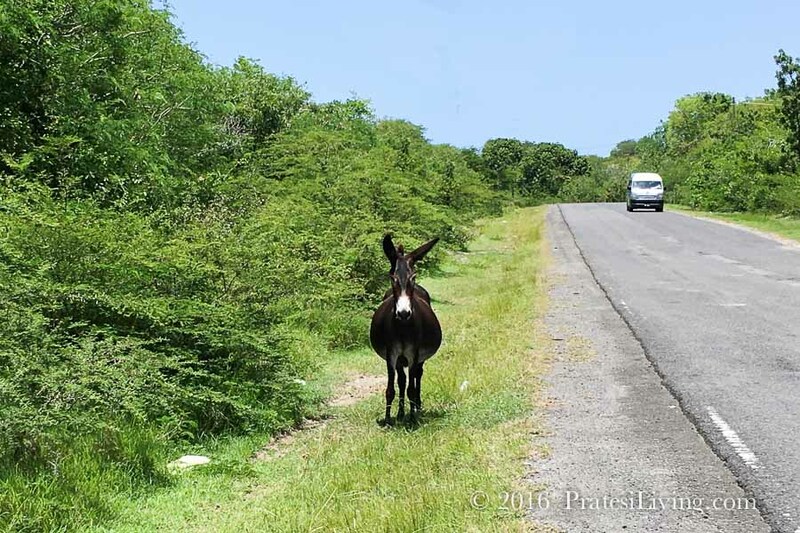 The donkeys, which were once the engine of the sugar mills, but were set loose when the plantations ceased production in the 1950s, also roam free on the island. 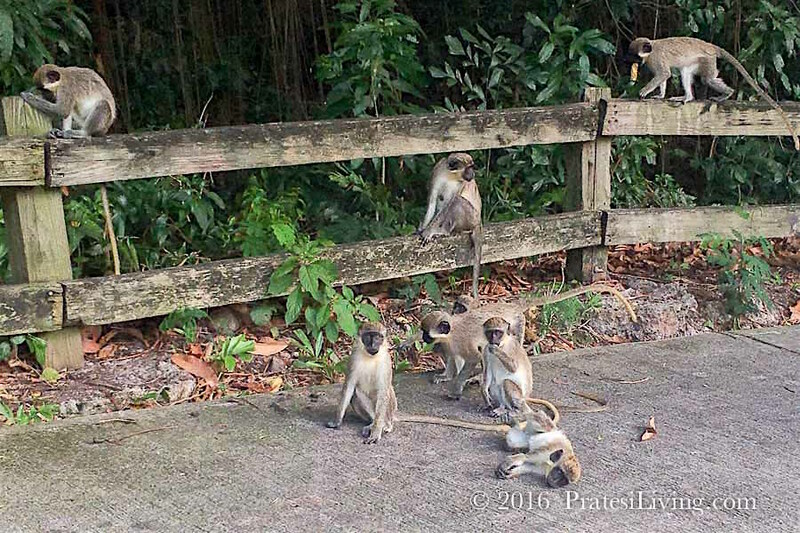 For the best and most exciting Green Monkey viewing, if you’re lucky enough to have access to the Four Seasons golf course, head out to the 15th green at dusk to catch them congregating, swinging in the trees, socializing, and nibbling on native mangoes. A very important initiative on this unique island is the Sea Turtle Conservation Program. The Four Seasons Resort works with the Sea Turtle Conservancy and the Nevis Turtle Group to educate visitors and residents about the importance of protecting endangered sea turtles. They also study the migration patterns of the turtles and tag them with GPS satellite monitors. From July to October, guests interested in seeing or helping to tag the turtles can request to be awakened in the middle of the night when turtles are spotted along the beach. The property even hosts a Sea Turtle Weekend each year. 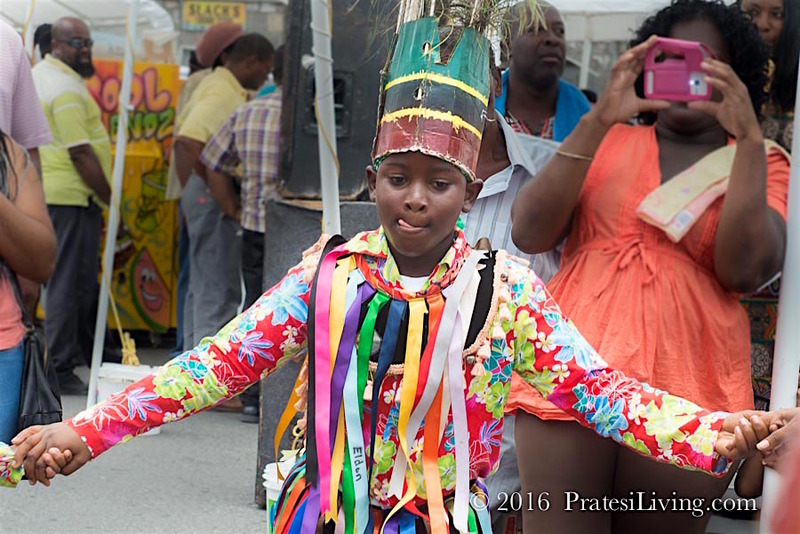 Known as the island of sport, Nevis hosts a fishing tournament every October, the annual Nevis to St. Kitts Cross Channel Swim, the unexpected sport of drag racing, and a running festival. If you’re a horse racing enthusiast, you’ll find the backdrop for the island’s monthly horse races pretty spectacular at Indian Castle in the Gingerland district. Where else can you watch horses and jockeys race around a track with a volcano and brilliant blue ocean water as the setting? 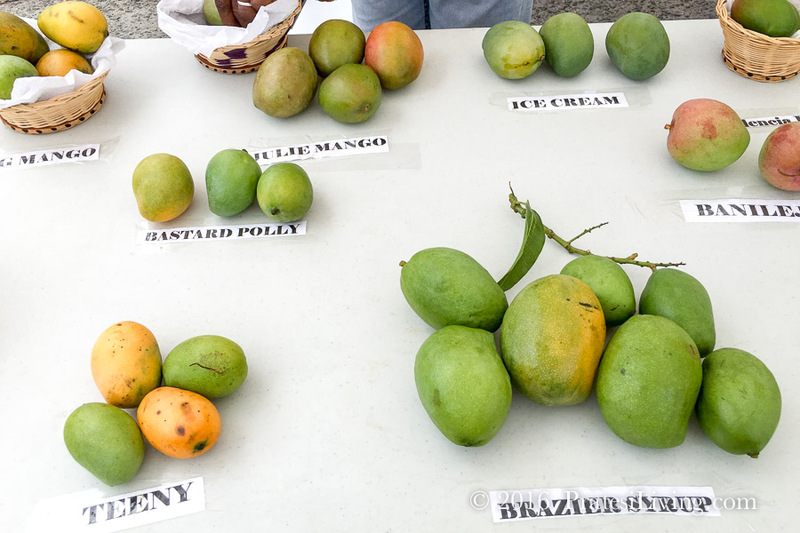 The island is also home to several festivals throughout the year, including the Mango Festival that we attended in July, which pays homage to the island’s most prolific fruit. 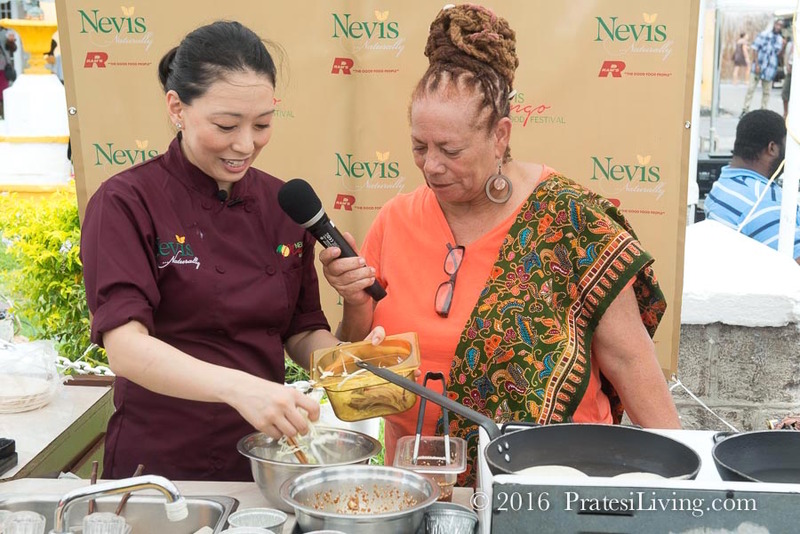 The festival celebrates the many varieties that grow on the island, the ways they’re used in local Nevisian cuisine, and the event feature sspecial guest chefs like Iron Chef Judy Joo and her executive chef, Andrew Hales, from the U.K.
Disclosure – We worked with the Nevis Tourism Authority on this trip. As always, the opinions expressed are our own.